London, 19 April 2016. Imago ScanSource, Europe's largest video solutions company, is launching a brand new video conferencing system, i-Kandy, bringing together two powerful products from the industry's leading players Polycom and Array Telepresence. i-Kandy combines the Array Equal-i image processor and DX dual-headed camera with the Polycom Group 500 video, voice and collaboration system. This unique new offering will provide customers with a cutting edge immersive telepresence experience that maximises all the power of the Polycom engine with the transformative impact of the Array image technology. Imago ScanSource is offering its reseller channel the opportunity to become authorised partners for i-Kandy, which will enable them to take advantage of the available training programmes, secure improved margins and deliver installation services to customers. Imago ScanSource is also currently providing a 2-for-1 offer on i-Kandy for a limited period. "We introduced Array to the UK market last year, and its ability to upgrade video conferencing endpoints to immersive telepresence at a fraction of the costs usually associated with high-end systems, has proven very popular," said James Vickerage, Vice President for the UK and Ireland at Imago ScanSource. "With the launch of i-Kandy, we are taking this a stage further and providing resellers with a ready-made solution that they can offer to their customers to transform their collaboration experiences." Imago ScanSource will also be offering the brand new Array solution, Immersive Everywhere, which now provides the same dual-screen video conferencing experience, even where an Array system is not being used on the far end. Array's Immersive PTZ capability is the industry's only solution to improve the incoming scene from a conventional video conferencing system without Equal-i improving the scene to dual-screen immersive telepresence. 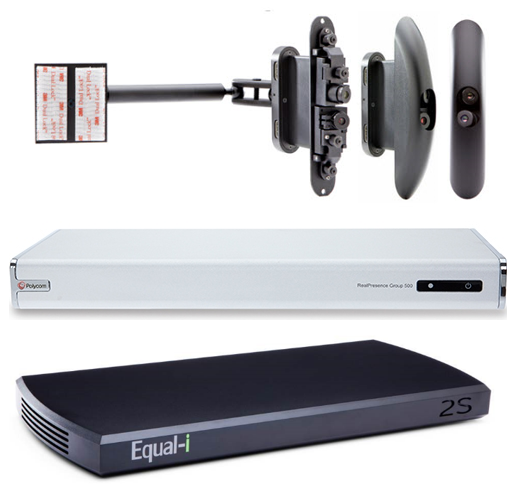 Equal-i technology combines image improvement algorithms and an image processor, which sits between the specially designed camera and the video conferencing codec. Amongst the many visible improvements it provides are better clarity of those participants sitting furthest from the camera, which is achieved by increasing the pixel count on their faces by 6.5 times that of a PTZ camera, and 'Equal-i-sing' their size to the size of closer participants. The Array solution also improves vertical eye-line, the meeting format takes on an 'across the table' experience, stand-up capture is enabled, and it powers a dual-screen, wide-format display using a single codec with no impact on bandwidth. i-Kandy will be on display at the forthcoming Business Breakthrough event on the 26th May in London. 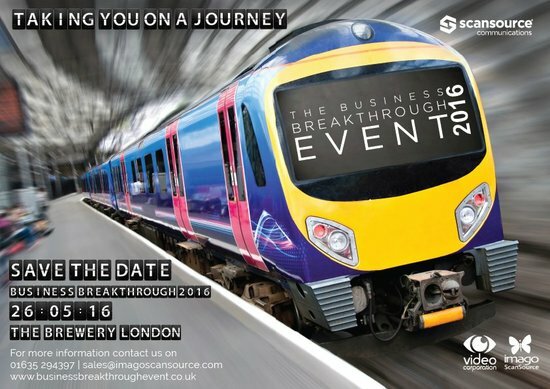 To register please go to: Business Breakthrough 2016. Imago ScanSource is Europe's largest video solutions company. Services offered by the company include video conferencing and online meeting technology, including video streaming, audio conferencing and IPTV. Imago ScanSource also provides projectors and presentation systems, HD cameras, interactive whiteboards and LCD displays. The company has achieved certification under ISO9001 and Investors in People. It has been operating successfully in the UK market since 1991 and in the French market since 2003 and in 2014 acquired Vitec, one of Germany's largest video solutions distributors. Imago was included in The Sunday Times International Track 200 2012, a league table ranking Britain's private companies according to the growth of their overseas sales. Imago ScanSource is the only company involved in the distribution of video solutions to be included in the list. In 2013 the company was ranked 70th in the Thames Valley 250 list which ranks companies in the Thames Valley area according to their sales. In 2015 Imago ScanSource was named Distributor of the Year at the AV Awards and in February 2016 Imago Group founder, Ian Vickerage, was recognised for his Outstanding Achievement in AV by AV News Magazine. Array Telepresence is the world leader in telepresence cameras and image improvement technology designed to cost-effectively improve the world's 2,000,000+ video conferencing rooms. Array Telepresence's Equal-i Technology enables immersive telepresence in standard conference rooms using an organization's existing video conferencing systems. The company's revolutionary cameras and Image Processor dramatically improve the scene before handing it to the video conferencing codec. Farthest participants are brought "Up Close and Personal", eye-line improved, meeting format improved, camera concealed, and the system populates dual displays using a single codec to create a large format view of the remote scene bringing in the eye's peripheral vision improving the sense of immersion. The company makes it cost-effective to upgrade dozens, hundreds, or even thousands of videoconferencing rooms to immersive telepresence with no impact to the network or video network infrastructure. The company also offers Immersive PTZ™ the industry's only solution that improves calls bi-directionally uniquely improving the incoming scene from conventional videoconferencing systems using Pan-Tilt-Zoom cameras to dual-screen immersive. \"We introduced Array to the UK market last year, and its ability to upgrade video conferencing endpoints to immersive telepresence at a fraction of the costs usually associated with high-end systems, has proven very popular,\" said James Vickerage, Vice President for the UK and Ireland at Imago ScanSource. \"With the launch of i-Kandy, we are taking this a stage further and providing resellers with a ready-made solution that they can offer to their customers to transform their collaboration experiences.\"
Array Telepresence is the world leader in telepresence cameras and image improvement technology designed to cost-effectively improve the world's 2,000,000+ video conferencing rooms. Array Telepresence's Equal-i Technology enables immersive telepresence in standard conference rooms using an organization's existing video conferencing systems. The company's revolutionary cameras and Image Processor dramatically improve the scene before handing it to the video conferencing codec. Farthest participants are brought \"Up Close and Personal\", eye-line improved, meeting format improved, camera concealed, and the system populates dual displays using a single codec to create a large format view of the remote scene bringing in the eye's peripheral vision improving the sense of immersion. The company makes it cost-effective to upgrade dozens, hundreds, or even thousands of videoconferencing rooms to immersive telepresence with no impact to the network or video network infrastructure. 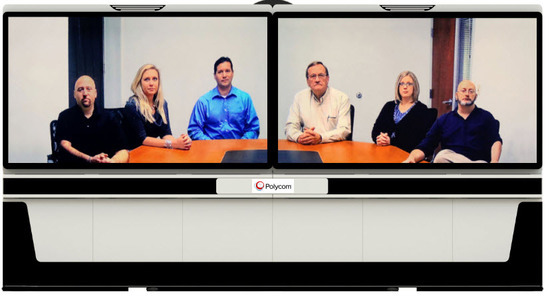 The company also offers Immersive PTZ™ the industry's only solution that improves calls bi-directionally uniquely improving the incoming scene from conventional videoconferencing systems using Pan-Tilt-Zoom cameras to dual-screen immersive.